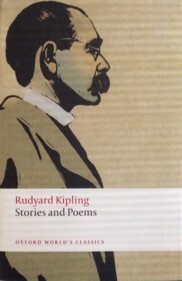 Still reading Kipling. I've been listening to Martin Jarvis reading Plain Tales From the Hills & I'm enjoying it very much. I'm listening to stories on the way to work & a couple before I go to sleep at night, especially if I've spent a lot of time that day looking at screens. So, I thought that an early Indian poem by Kipling would be perfect for today. The Story of Uriah refers to the Biblical story of King David, who lusts after Bathsheba & sends her husband, Uriah, to his death to get him out of the way. Apparently Kipling wrote the poem in response to a real life scandal during his time in India. The stories in Plain Tales From the Hills mostly take place in Simla, one of the hill towns where English families escaped the summer heat. I need to read more about all this. I've read Charles Allen's Plain Tales from the Raj, Jane Robinson's Angels of Albion about the women of the Indian Mutiny & M M Kaye's memoirs of her life in India, Sun in the Morning, Golden Afternoon & Enchanted Evening (many years ago). On the tbr shelves I have Mollie Panter-Downes' Ooty Preserved, about another hill station, Ootacamund as well as a couple of novels, Paul Scott's Staying On & J G Farrell's The Hill Station. 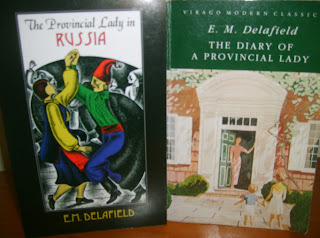 But, as I'm currently reading four books, I'll probably just stick to the Plain Tales & dipping into the poetry for now, especially as reading Sarah Orne Jewett's A Country Doctor is leading me down the path of other Maine writers & I have enough to be going on with right now! I'm enjoying your Kipling posts! Thanks for that, I didn't know that one! I'll have to look into John Masters. I know the name but haven't read anything of his.